Cara Cara (Red Navel) orange is a unique pink fleshed orange with true navel orange taste. The fruit that is sweet and juicy. 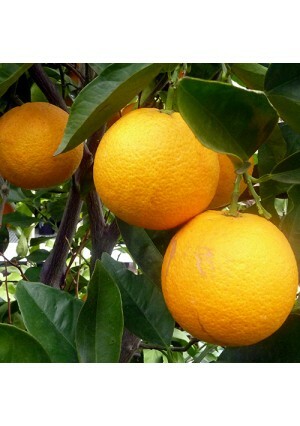 Cara Cara (Red Navel) Oranges work great as a patio plant. Cara Cara (Red Navel) grow and produce fruit for many years. As a container grown tree, the Cara Cara will remain at a height of only 4 to 6 feet. The scent of the blossoms fills the air with an inviting, refreshing fragrance. The Cara Cara is cold hardy in USDA Growing Zones 9-11. It can be kept as a container-grown plant in all other growing zones if it is protected from the cold. Simply bring your tree indoors and place in front of a sunny window during the winter. The trees produce abundantly indoors or out!